Dress your table in contemporary style with Saro Lifestyle's stitched sheer design toppers and tablecloths. These linens are perfect for everyday entertaining. 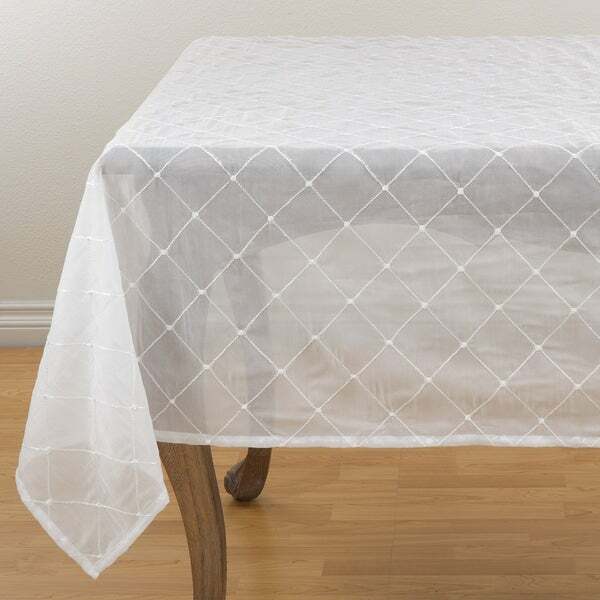 Floral Story Linen Table Topper - 60" x 60"